"Gregory Bateson was one of the most important and least understood thinkers of the twentieth century. " Dr. Bateson argued that in the inherent and essential feedback or cybernetic relation between the organism and its surroundings there arises a conjoined existence. Each one participates in creating the interdependent existence they both must have to sustain one another and their common world. 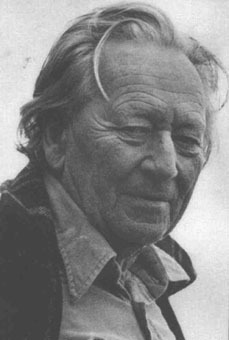 Gregory Bateson, (1904-1980) --pictured above-- a linguistic and biological anthropologist, was long interested in how and to what extent the mind constructs reality, and how individual people's psychological make-up reconstruct events. We do this --recreate events according to a scheme-- as a normal function in our quest to rationally survive. "Every action of the living creature involves some trial and error, and for any trial to be new, it must be random"
"Number is different from quantity," Bateson, iconoclastically asserted after a lifetime of interviewing people and teaching. Gregory Bateson, Mind and Nature, pp. 53-55. 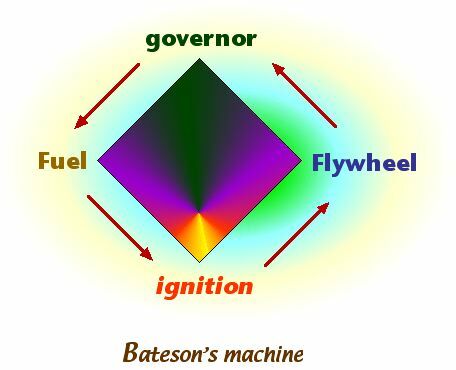 This statement is one of a dozen Bateson developed concerning our perception reality and the natural world. He referred to these precepts as "certain basic presuppositions (underlying assumptions) which all minds must share." 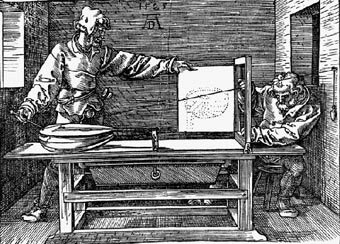 Stated another way, he argued that he would "define mind by listing a number of such basic" propositions. Bateson did so he argued to show readers that "some propositions are simply wrong." " A number of basic ideas about the world, elementary propositions or verities." After years of study, Bateson insisted that the mind was a product of evolution and natural selection. These were the very same processes that had led to life on earth in all its variety. In seeking to accurately describe the mental and the physical he proposed "basic presuppositions" that everyone "should know." Bateson's "basic presuppositions" that every educated person ought to comprehend fell into four categories. These categories were related clusters of the following sixteen rules organized into how we code for our impending experiences, distinguishing random from ordered events, the meaning of more versus less amounts, and the adequacy of language to represent reality. His clusters of these sixteen aphorisms are based on A) code or coding related concepts [1-5], B) the differences between random and ordered experiences [6-8], C) the relation of amounts and sizes to meaning [9-12], and D) the failure of reason and language to clearly express the rich complexity of organic and inorganic existence [13-16]. "The map is not the territory and the name is not the thing named. "There is no objective experience. 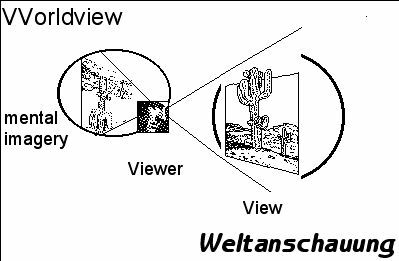 "The processes of image formation are unconscious. "The division of the perceived universe [world] into parts and wholes is convenient and may be necessary, but no necessity determines how it shall be done." "Nothing will come of nothing." "Quantity does not determine pattern." "There are no monotone 'values' in biology." "Causality does not work backward." "Language commonly stresses only one side of an interaction." "Stability and change describe parts of our descriptions." Mind and Nature, pp. 28-71. 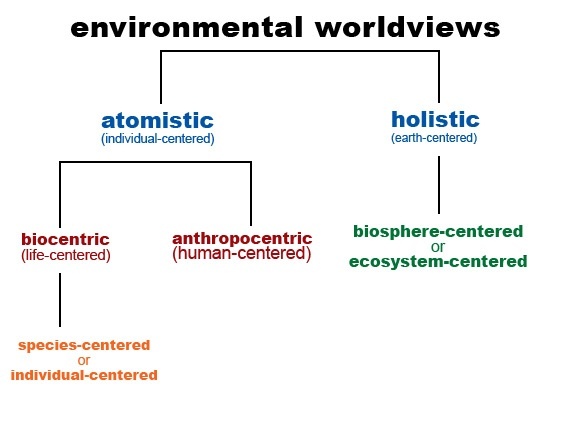 Bateson's, Steps to an Ecology of Mind, 1970.
interprets the world with words. CEPT is from the Latin verb capere, meaning taken, seized, kept or held; capture. percept - how the brain represents stimuli from the senses [seized]. precept - a general rule to govern or influence behavior or ritual. accept - to agree to take on, receive or consent to do something. intercept - to obstruct or stop, interfere with or prevent from continuing. receptive - how willing or able one or something is to receive a stimulus, conducting a signal, responsive, open, conducive. apprehend -- understand or perceive or arrest, catch, capture, seize; take prisoner, take into custody, detain; appreciate, recognize, discern, perceive, make out, take in, realize, grasp, understand, comprehend. comprehend -- grasp mentally; understand, encompass grasp, take in, see, apprehend, follow, make sense of, fathom, get to the bottom of; unravel. 1. Bateson, Steps to an Ecology of Mind: Collected Essays in Anthropology, Psychiatry, Evolution and Epistemology. London: Paladin,1978. pp. 79-81. 2. Bateson, Mind and Nature: A Necessary Unity. London: Fontana, 1980.